On May 14 and 15, 2011, Profiles in History held its latest auction of Hollywood memorabilia in Beverly Hills. The pre-auction buzz was all about the Dude’s sweater, which was worn by Jeff Bridges in “The Big Lebowski” and had a pre-sale estimate of $4,000 to $6,000. As it turned out, the sweater was withdrawn, so Lebowski fans will have to content themselves with the Dude tribute sweater from Pendleton, which at $188 is a better value anyway. What did sell like hotcakes, though, were a number of late-1950s silkscreened posters from Disneyland (click images above for larger versions). Each measuring roughly 36-by-54 inches, the posters advertised attractions at Disneyland in the style of railroad and airline travel posters. 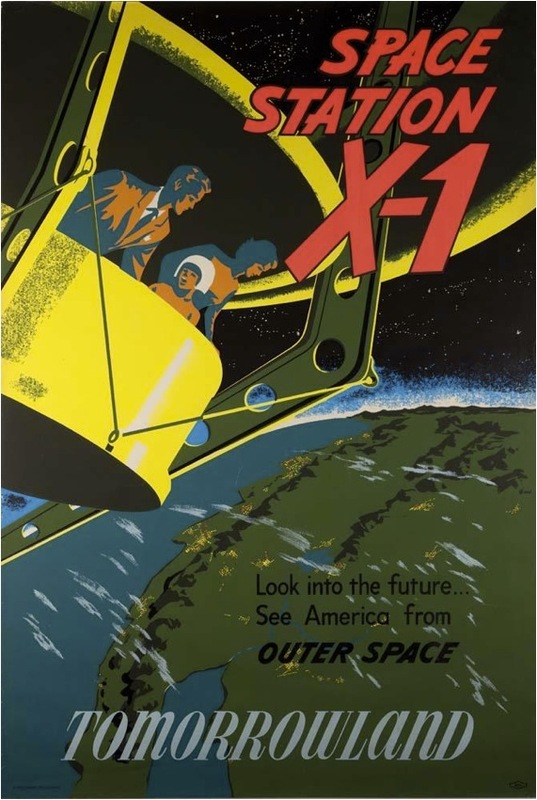 Space Station X-1 (probably 1957) was predicted to bring between $1,500 and $2,000 but managed $3,245. 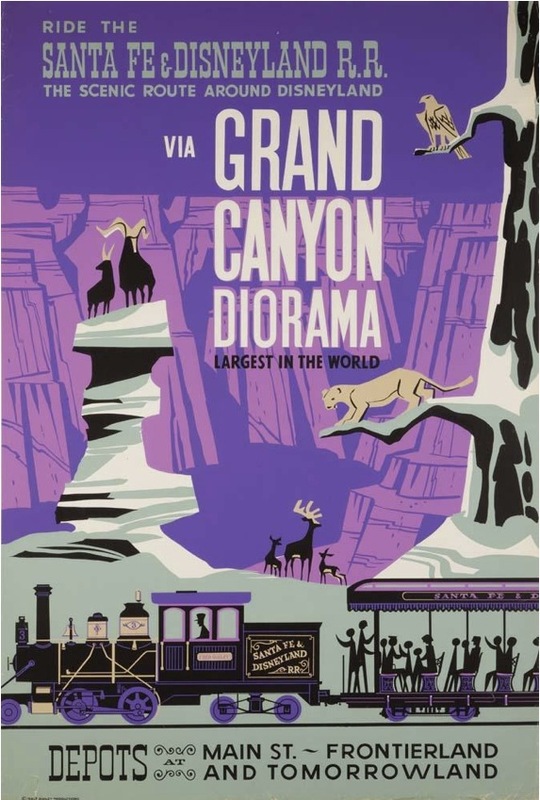 The Grand Canyon Diorama poster (probably 1958) was expected to fetch between $1,200 and $1,500 but commanded $4,425. 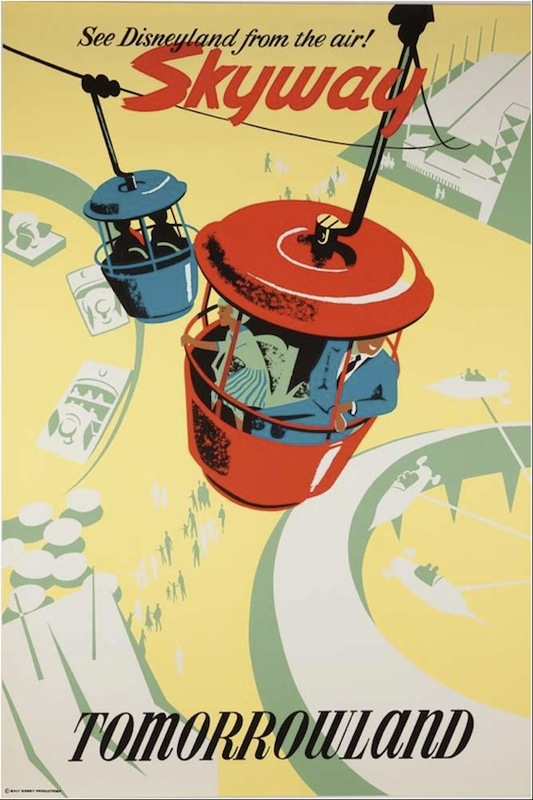 The Skyway poster (1957) had a pre-sale estimate of $1,000 to $1,500 but brought a whopping $4,720. 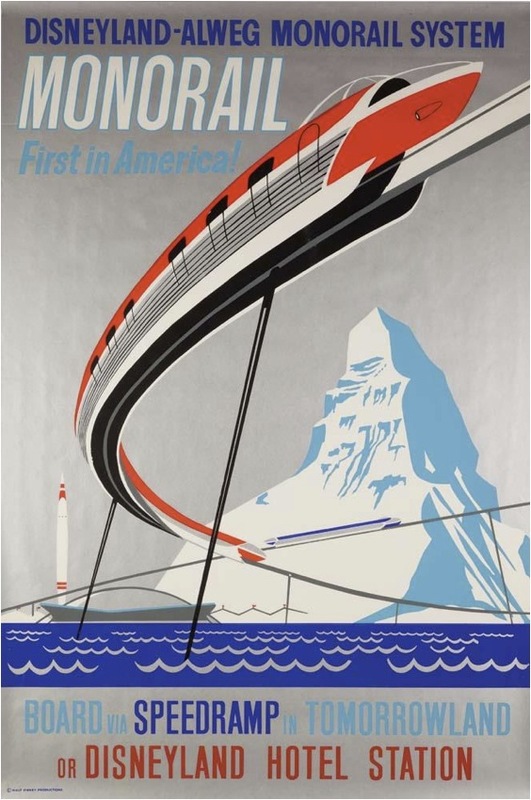 And the Monorail poster (my favorite, from 1959, at top) had a pre-sale estimate of $1,000 to $1,500 but went for only $2,655, a relative bargain among this pricey bunch. I have three posters from The Disney Gallery. Herb Ryman is the name on the tubes. They are artists renditions of what the park was going to be. I have “The Royal Courtyard”(1953) “Early Plan of Disneyland”(inset by Marvin Davis) 1953 “New Orleans Square” 1964 they are in their original tubes and have not been out except to identify them. My father was a supplier of tourist trinkets for the various “lands” when they opened in 1955 and I inherited the posters. I do not know when he received them. What do you think?